While visiting Target the other day, I came across whimsical paper placemats in the dollar section. The subtle design and colors were so pretty I immediately thought it would be a shame to use them for their intended purpose on a table during a meal where they'd be destined for crumbs, smears, water rings, and spills. That's precisely why I chose to use the placemats for a different purpose: seasonal artwork. This is as easy as it gets, friends. 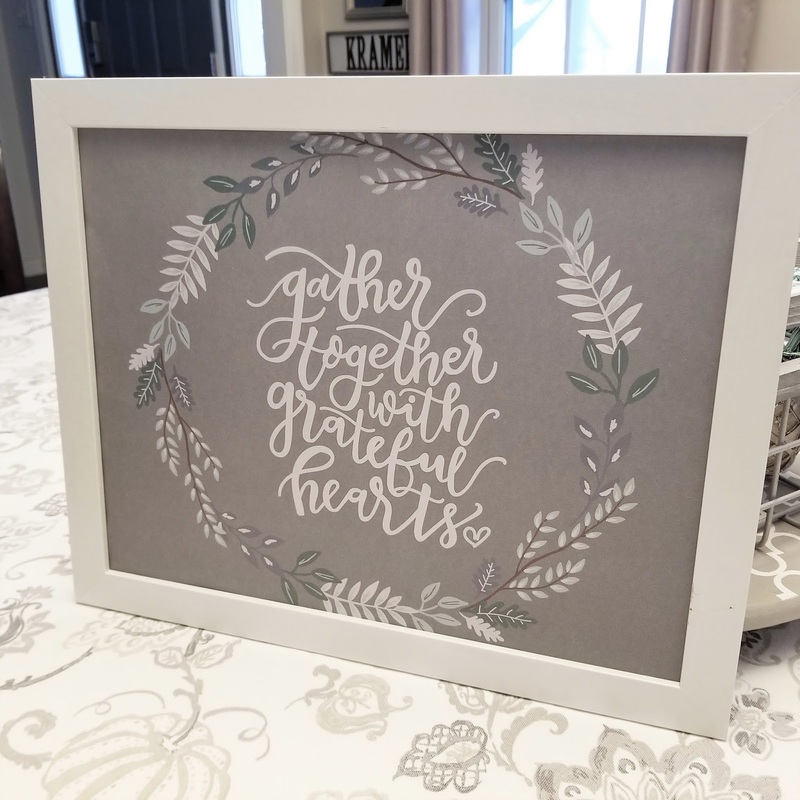 Simply cut one mat to fit an 8x10 frame, and just like that, you have art that can span from Thanksgiving to Christmas. As an added bonus, the mats come in a set of four for just $1, so you can share or repurpose the remaining three. Find a few friends or neighbors and become decorating quadruplets, which I hear is even better than decorating twins. Winner winner turkey dinner, I tell you! Enjoy!